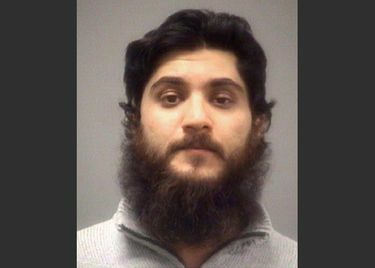 RALEIGH, N.C. (AP) — A mentally ill North Carolina man who was forcibly medicated so he could be prosecuted on charges he tried to join a terrorist group fighting in Syria could reach a plea deal or go to trial in about a month, lawyers said Tuesday. “I feel all right,” Cary resident Basit Sheikh said when the federal judge asked how he was feeling. U.S. District Judge Terrence Boyle set a trial date for after Labor Day if a deal isn’t reached. A federal prosecutor told Boyle during a 2015 hearing that prosecuting and convicting Sheikh was important in deterring other would-be American radicals. Sheikh, of suburban Cary, was arrested in 2013. He was one of the first U.S. residents arrested as part of the FBI’s effort to find people before they could join terrorist groups fighting in Syria and potentially return as battle-hardened radicals. He’s charged with providing material support to a terrorist group. Sheikh could face up to 15 years in prison if convicted, prosecutors said previously. Sheikh said he hadn’t planned on joining the fighting, but instead wanted to help refugees and marry the female nurse in Syria he thought he was in contact with on Facebook. That “nurse” was an FBI agent or informant.